Many young American heiresses were married off to penniless nobleman in Europe in what was supposed to be mutually satisfactory trade of money for nobility. In 1895, nine U.S. heiresses married into titles. 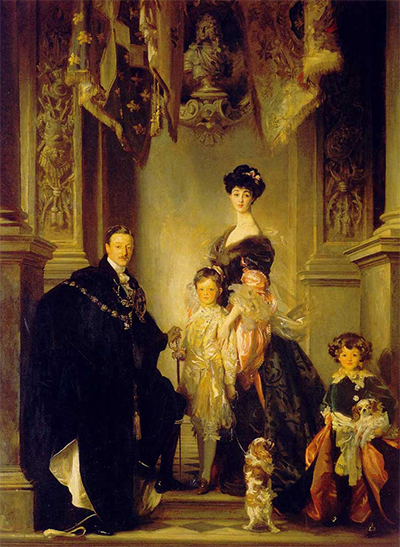 One real-life character was Consuelo Vanderbilt, the only daughter of railroad millionaire William Vanderbilt, who was forced to marry Charles Spencer-Churchill, 9th Duke of Marlborough (relative of Winston Churchill and Diana, Princess of Wales). She wept throughout her wedding, but her marriage kept the enormous Bleinheim Palace afloat and gave her a title. Another lady actually lived in the Highclere Castle of “Downton Abbey” fame, Almina Herbert, Countess of Carnarvon who happened to be the daughter of millionaire banker Alfred de Rothschild. Her money helped to fund the famous expedition that discovered Tutankhamun’s tomb. Register for our most popular class this spring, “Life in Downton Abbey: The Fiction and the Reality to learn more about these ladies and the real stories that inspired the television hit.